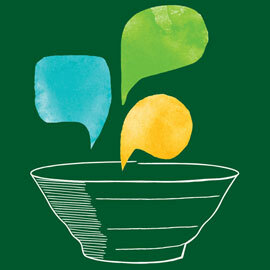 WATERLOO – Edna Staebler Writer-in-Residence (WIR) Drew Hayden Taylor will host his second public talk “The Writing Process: my stone soup approach,” on Wilfrid Laurier University’s Waterloo campus March 10. The talk will provide audiences with an entertaining and enlightening look into Taylor’s creative process as an author who works across a range of genres and media, including novels, short stories, theatre, film and television. Taylor is the fourth Edna Staebler Laurier Writer-in-Residence (WIR). His term runs from January to April 2016. Taylor is the award-winning author of 27 books, including adult and young-adult (YA) fiction as well as plays and essays. Taylor, who hails from Curve Lake First Nation in Central Ontario, has served as writer-in-residence at the University of Michigan and the University of Western Ontario, as well as Playwright in Residence at Native Earth Performing Arts, Cahoots Theatre, Ryerson University, and the University of Luneburg in Germany. Taylor has also worked as the writer and director for documentary films and has written for television, principally for APTN’s Mixed Blessings. He has been twice nominated for a Governor General’s Award (once for fiction and once for drama), and has won a Chalmers Award for Toronto at Dreamer’s Rock in 1992, a Dora Mavor Moore Award for Only Drunks and Children Tell the Truth in 1996, an Independent Publisher Book Award for his YA fiction The Night Wanderer in 2008, as well as the Ontario Premier’s Award for Creative Arts and Design in 2010 and the Queen Elizabeth Diamond Jubilee Award in 2012. The talk will be held March 10 in the Hawk’s Nest in the Turret on Laurier’s Waterloo campus. Doors open at 7 p.m. with the event beginning at 7:30 p.m. The event is free and open to the public.